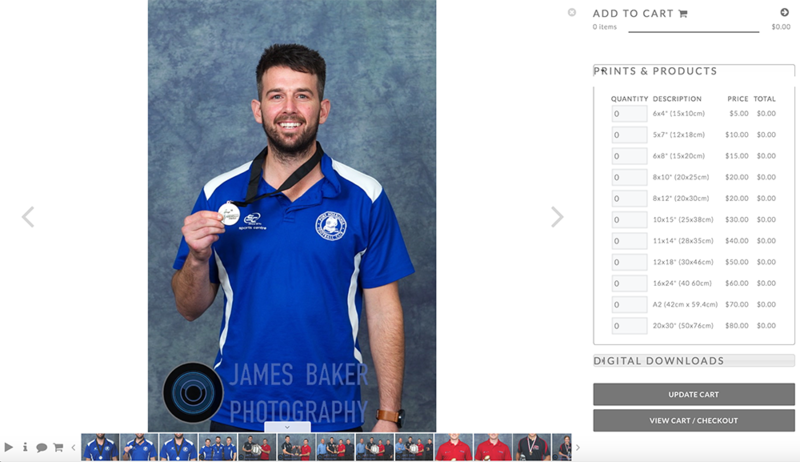 If you have not filled out a pre-order form and handed it to your club/school representative then you can order photos online at www.jamesbakerphotography.com.au and pay by PayPal, Credit Card or Bank Transfer. 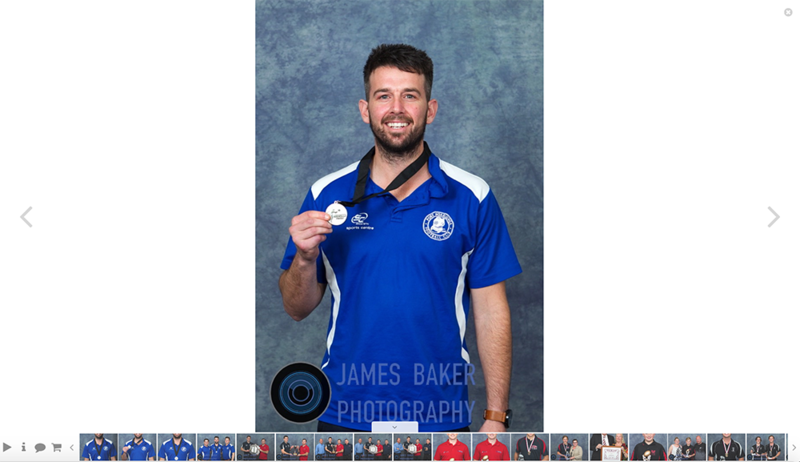 Click on the gallery you would like to view and scroll through until you see a photo you would like to purchase. Click on that photo and then click on the shopping trolley icon in the bottom left hand side. The photo options and prices appears on the right hand side. Fill out what you would like to order and continue shopping or click view cart/checout. From there you can select 2 payment options. Pay now with PayPal or pay later by Credit Card or Bank Transfer with Pay by check (not cheque). 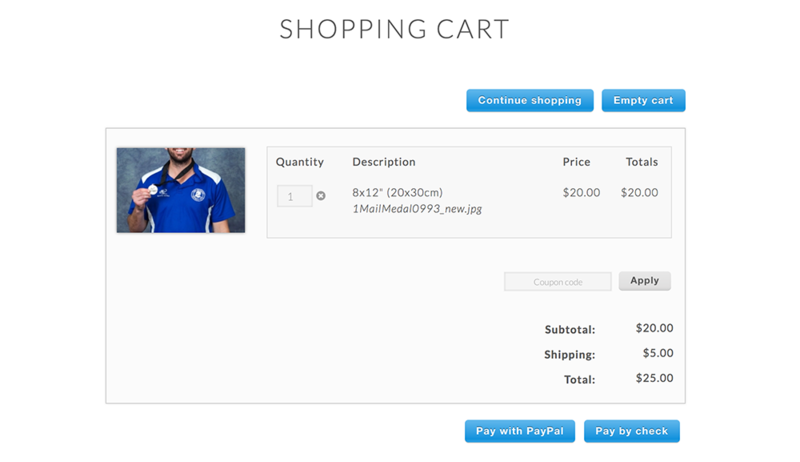 Pay with PayPal will take you to the PayPal portal to make the payment and complete your order. Pay by check offers a check first. So your order can be checked by us and payment made later by calling us with your Credit Card or making a Bank Transfer with our bank account details displayed for your convenience. 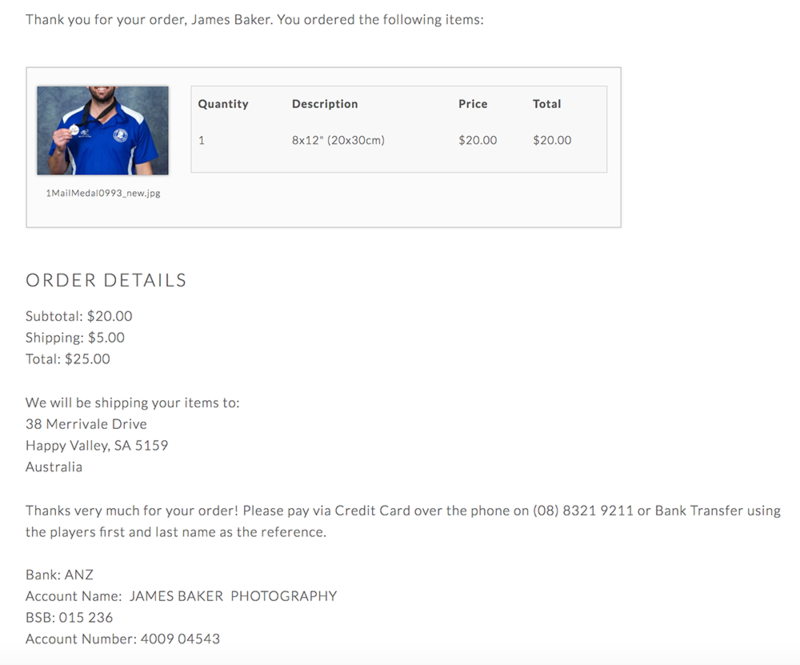 Once payment is received you will get a confirmation email.